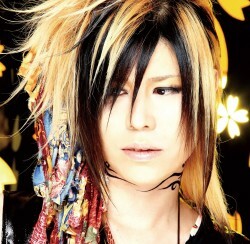 Another sad death in the Jrock world. Greg directly addresses the branding issue raised yesterday, and stands his ground. Fistbump!!! This time around Gaki looks at QunQun, LINQ, CQC`s!, Rev. From DVL, Seishun joshi gakuen, and IDA. Haruna loves to mimic the dance moves, so I was already won over anyways. … And another, less obvious, sign of Nakky’s growing favor. Lots of fangirling and screencaps, as to be expected – but hey, that’s what you tune in for. Getting fans worked up before the duo hit Otakon. Who wouldn’t want to wrap their lips around all of V6? “Lady Marmalade”? It actually sounds pretty good. But is the tempo slowed down? Serenyty takes a tentative step into the world of Kpop and picks a real winner. Langdimus digs up former YODCers to see what they’re up to. Wonton’s lessons in women apparently paid off..
Naming a photobook after yourself is like using your name as the title of your autobiography. You know socks actually absorb moisture of the feet and are supposed to cool them down… But you have to change them every so often. A photo spam of Nakajima Saki’s first photobook. In between the videos of BoA and Daichi, there is a brief swipe at the difference in treatment of Korean idols whether they are in Korea or Japan. I’d like to see this expanded. thanks for the shout-out, the reason why I refrained from discussing the Japanese market more in depth is because I’m not extremely knowledgeable about jpop market as much as kpop :) maybe in the future, though!